Accretive acquisition in Labuan Bajo in December 2016 boosted 2Q17 DPU by 1.4%. 1H17 gross revenue, net property income and DPU were within 47-49% of our FY17e numbers. Acquisition pipeline remains healthy with stabilised hospitals ready for acquisition. Maintain NEUTRAL with unchanged target price of S$1.32. + Organic growth from increase in variable rents: Revenues from existing properties grew 1% YoY due to higher variable rents. This cushioned flat YoY base rents as a result of weak Singapore 2016 CPI which base rents are pegged to. + Likely stable future interest costs for debt due for refinancing this year: Management guided that interest costs for debt due for refinancing this year are likely to remain stable as bank offerings remain competitive. This is assuming Management refinances with similar secured loans (instead of unsecured ones). + 8.9% lower finance costs for the quarter: As a result of pared down debt from the proceeds of the S$60mn perpetual securities issued in June 2016. + Acquisition pipeline remains healthy for FY17: Management has targeted several completed and operational hospitals under Sponsor’s pipeline for acquisitions this year. We expect First REIT’s acquisition trend to continue with ample firepower (31% gearing) following the perps issue. – CEO transition risks: Dr Ronnie Tan, who has been CEO of the manager since IPO in 2006, and comes with >30years of medical experience, retired in May 2017. Investors could be wary of transition risks. 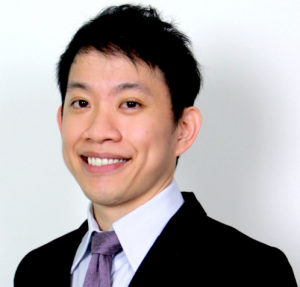 Mr Victor Tan, his appointed replacement has been CFO of the manager since 2008. We expect little transition risks as Mr Victor Tan is similarly highly experienced and familiar with the operations of the manager. The outlook remains stable. The hospital rents are all fixed on long term leases with the earliest expiry at 2021. Exchange rate risks are also irrelevant as rentals for Indonesia are received in SGD. Financing costs are not expected to increase for 34% of debt (secured loans) due for refinancing this year as bank offerings remain competitive, thus not posing a threat to DPU. We maintain our NEUTRAL recommendation with an unchanged target price. First REIT continues to leverage off sponsor’s strong pipeline of over 40 healthcare assets in Indonesia for acquisition. Our target price represents a forward yield of 6.5% and FY17e P/NAV of 1.22.